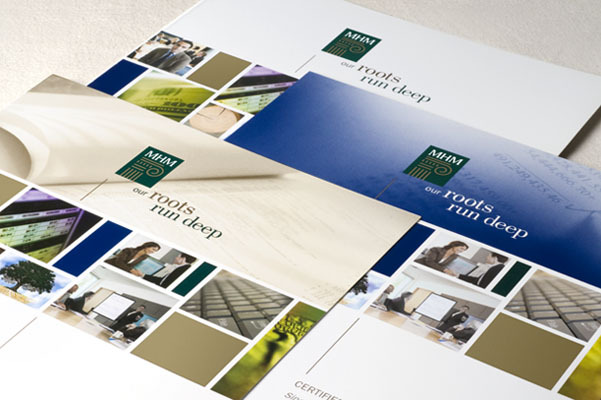 A brochure can act as a great medium to tell a company’s story or showcase its service offerings. It can also serve as a company’s “brand ambassador” by engaging with a particular audience and effectively represents a company’s image. Mayer Hoffman McCann P.C. (MHM) has been part of the CBIZ, Inc. family for several years but the two companies did not have a cohesive look. e design was asked to standardize all MHM materials, including several service brochures, a general company brochure, presentation folders, proposal materials, print advertising and more.